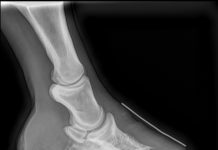 It’s inspiring to see hoof care practitioners who are innovative problem solvers. 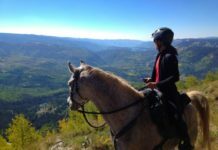 These individuals don’t run at the first sign of complexity, instead they stay the course; they figure it out. 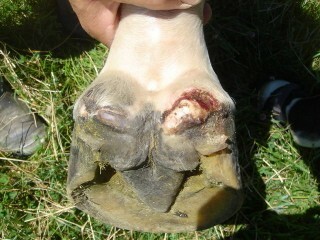 This horse had blown an abscesses out its heel bulb. Then managed to hit himself on the already sore bulb. Needles to say this horse was very sore to any pressure. Add to the mix the client had a camping trip planned. 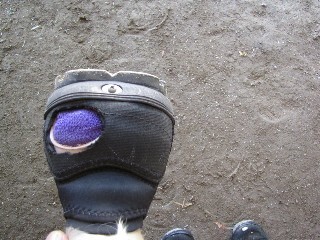 Instead of canceling the trip, the client and hoof care practitioner worked around the situation. A hole was cut around the injury site and then the Glove Gaiter lined with mole skin to cushion as well as lift it off the area. 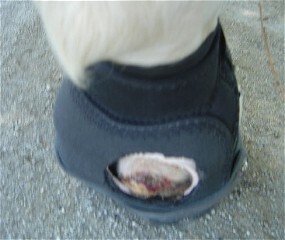 The injury was then wrapped with a steri pad and vet wrap before applying the Easyboot Glove. The hole was then covered with duct tape to keep out any debris. The horse was able to make the trip comfortably protected. 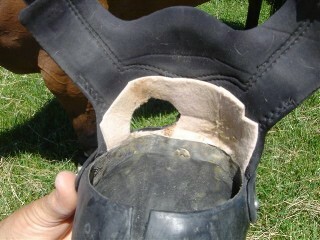 Thank you Leslie Carrig of High Desert Hoof Care for sending this nice example of a very unique hoof boot adaptation. 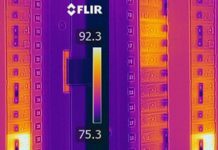 Sometimes a little booting beyond the box is all it takes. 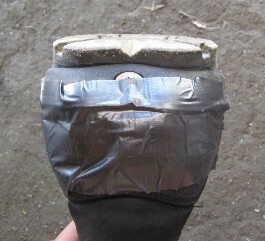 Do you have a boot modification that has worked well for you?